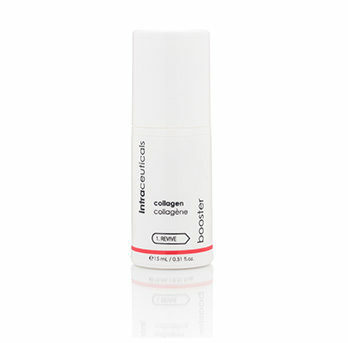 If you’re looking for powerful hydration and anti-aging benefits, this moisturizer will be your savior. This heavy-weight hyaluronic acid is the last step to the Intraceuticals 3-step layering process and locks in the hydration from the Rejuvenate Daily Serum. 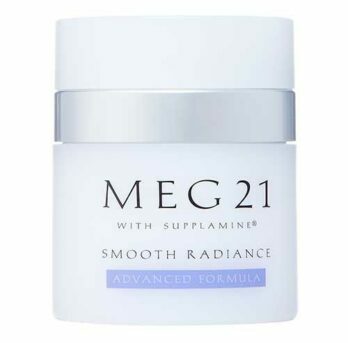 It protects your skin from aging and environmental damage while simultaneously replenishing the skin’s surface. Pila’s Tip: I love to mix my moisture binding cream with my matte foundation to give me a long-lasting glow. It also works really well as a makeup primer. Intraceuticals Rejuvenate Moisture Binding Cream is a nourishing lightweight cream to enrich and protect the skin from environmental damage. 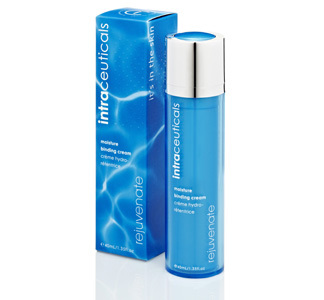 Provides powerful results to visibly address the signs of aging. Apply 1 – 2 pumps amount morning and night to the face and neck. For maximum benefits precede with Step 1 and 2 of Hyaluronic Layering. If irritation occurs discontinue use. • High Weight Hyaluronics — are a plant derived, high molecular weight protecting system that replenishes and holds moisture in the skin to provide a breathable barrier. Your skin looks smoother and tighter. • Jojoba Seed Oil – Cold pressed Jojoba bush fruit is rich in Vitamin E and minerals. It quickly absorbs into the skin without leaving an oily film to leave the skin soft and smooth. • Squalane – Is a skin identical plant derived skin moisturizer that is an absorption enhancer while nourishing and protecting skin to decrease dryness, smoothing wrinkles and scaly skin. Water (Aqua), Simmondsia Chinensis (Jojoba) Seed Oil, Glycerin, Macadamia Integrifolia Seed Oil, Prunus Amygdalus Dulcis (Sweet Almond) Oil, Cetearyl Alcohol, Squalane, Glyceryl Stearate, Triticum Vulgare (Wheat) Germ Oil, yaluronic Acid, Sodium Ascorbyl Phosphate, Hydrolyzed Hyaluronic Acid, Pelargonium Graveolens (Geranium) Flower Oil, Sodium Hyaluronate, Tocopheryl Acetate, Camellia Sinensis Leaf Extract, Dextran Sulfate, Retinyl Palmitate, Serum Albumin, Aloe Barbadensis Leaf Extract, Polysorbate 60, Caprylyl Glycol, 1,2-Hexanediol, Carbomer, Triethanolamine, Disodium EDTA, Stearic Acid, Tocopherol. The Intraceuticals Rejuvenate Moisture Binding Cream has changed my overly sensitive skin and dryness is no longer a problem. It feels fresh, softer, and looks better than it has in years. I also tried Pila’s Tip of mixing with my foundation and it lasts all day. Thank you Pila – you are my Heaven on Earth’s guardian angel.